This stunning, fine and impressive diamond and pearl jewellery set has been crafted in 18 ct white gold. 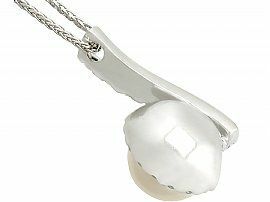 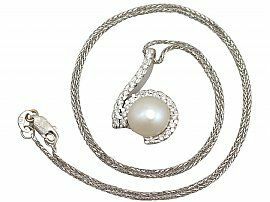 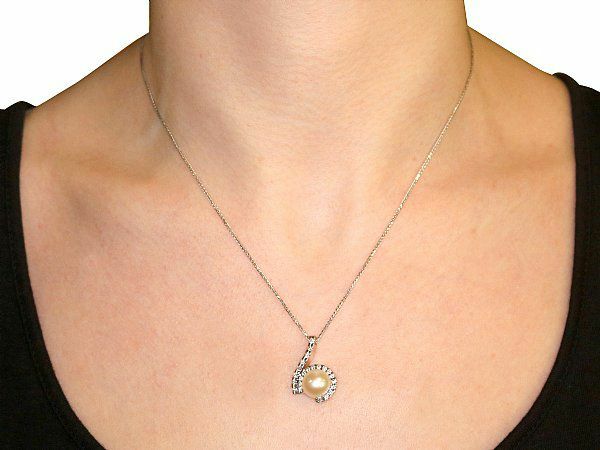 The pendant is ornamented with a cultured pearl held within a partial hemisphere setting. The pendant is suspended from an 18 ct white gold spiga chain via a diamond embellished, curvelinear element which completes the overall design. 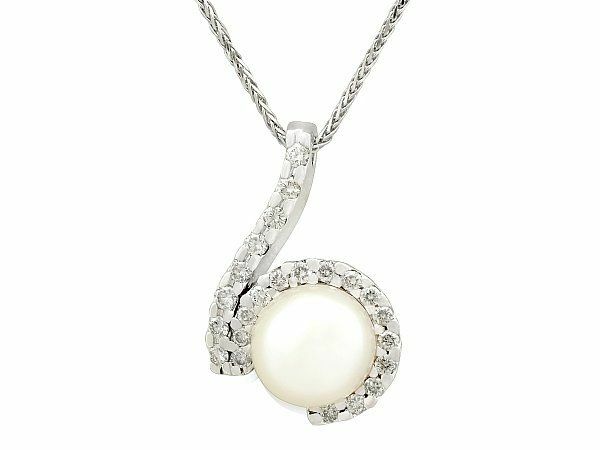 The setting and linear drop are embellished with a total of twenty-three pavé set modern brilliant round cut diamonds. 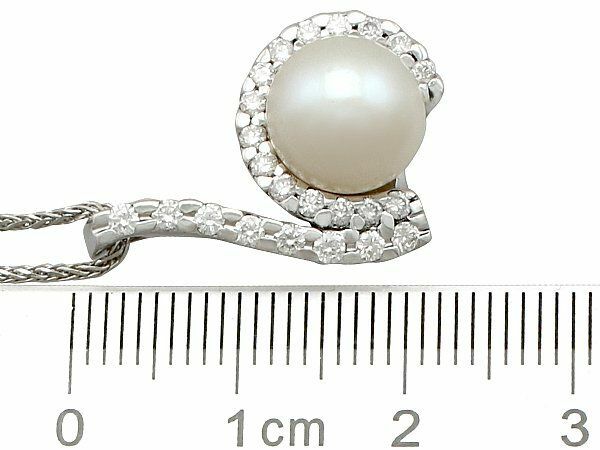 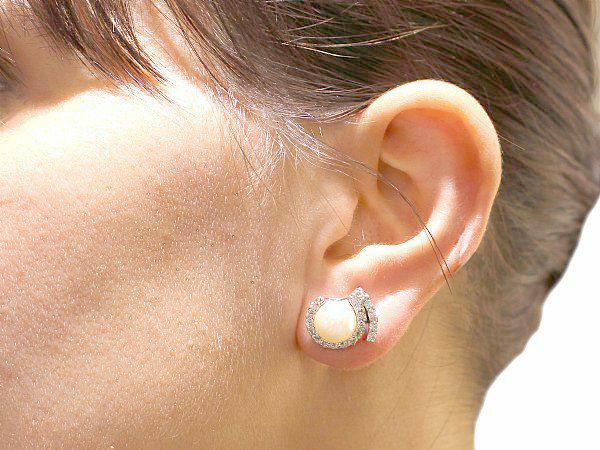 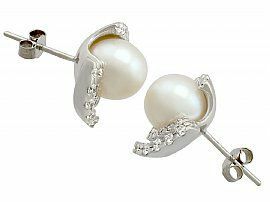 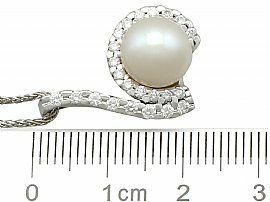 The earrings have a matching design, the cultured pearl held within a partial hemisphere setting and ornamented with a curved segment. 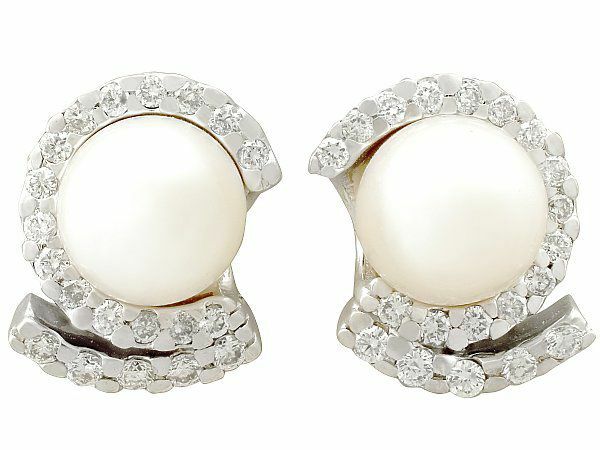 Each earring is decorated with twenty pavé set modern brilliant round cut. 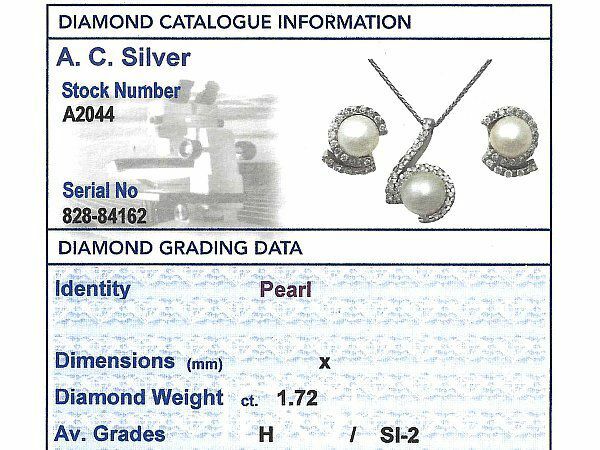 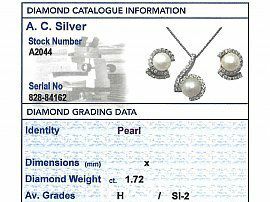 This vintage necklace and earring set is supplied with an independent diamond grading report card. 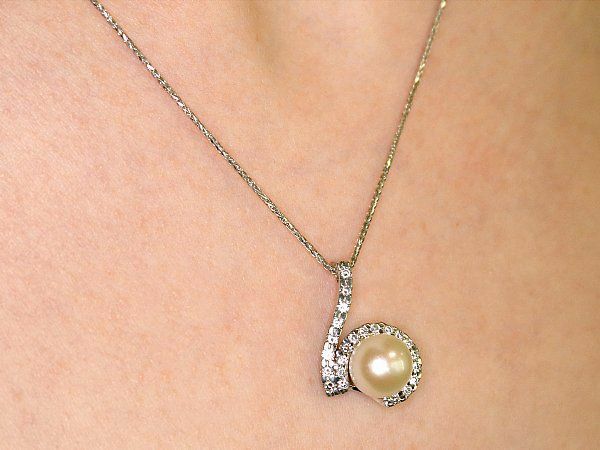 The pendant and chain are hallmarked with the 18 ct gold fineness mark for (750). The earring pins and chain link also bear the hallmarks for Italy. 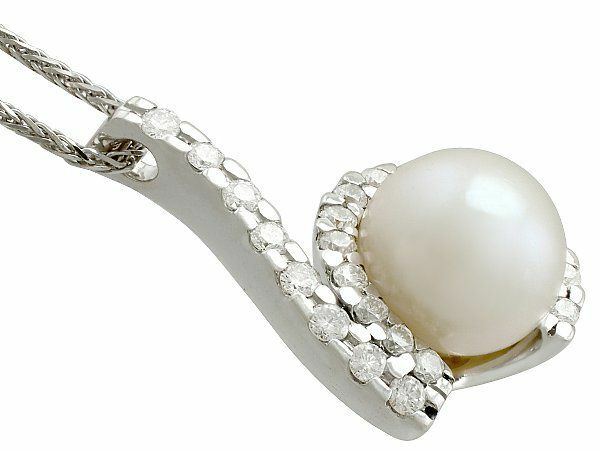 Learn about the history of pearls here. 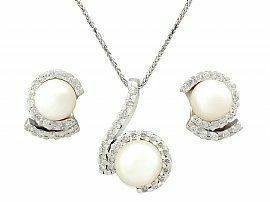 This vintage 1950s earrings and necklace set is fine quality, set with cultured pearls and very high colour graded diamonds. The earring and necklace are excellent quality and are clearly hallmarked.